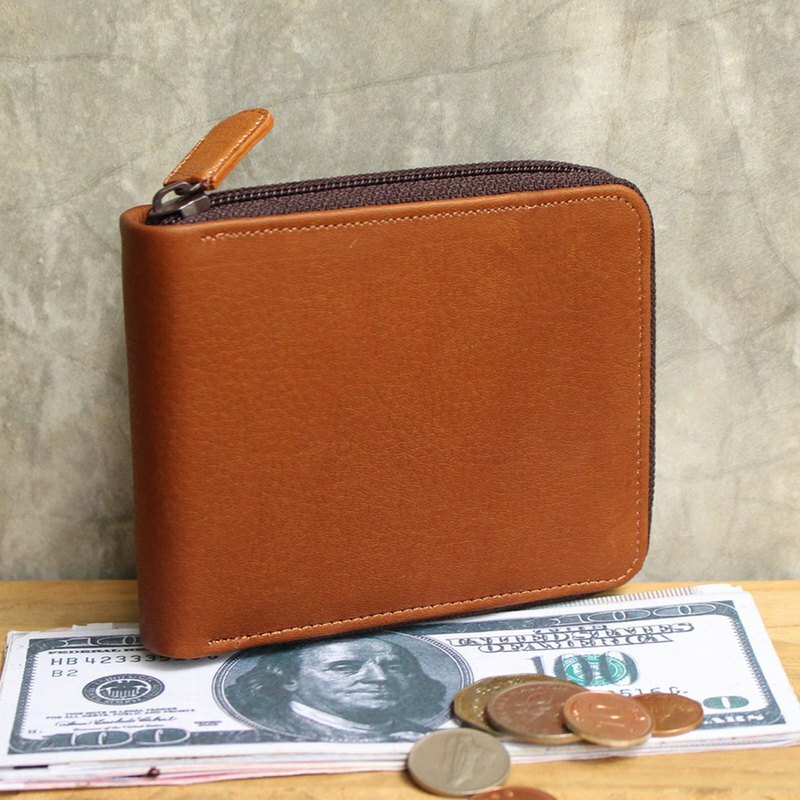 Small Wallet - Zip Around S Practical & stylish , Zip Around S wallet leather gives extremely high quality soft touching feels. Interior features -- 5 card/credit card slots + 1 window for ID / Driver's License 2 money/banknote slots 1 peck button pocket for coins 3 hidden pockets Size : 9x11x1.8 cm. (HxWxD) Color : Tan **Please allow for some variation in color as displayed on different devices and screens. Actual colors may vary. Dark Brown : https://th.pinkoi.com/product/HhpLuKD2?category=1 Black : https://th.pinkoi.com/product/ysf6snX4?category=1 Material : Genuine Cow Leather, plastic zipper Expected Delivery Date : For Taiwan , Hong Kong and Macau destination, your orders are estimated to arrive within 7-14 business days.